General Zhang Yang (张阳), a member of the Central Military Commission (CMC) and Director of the CMC Political Work Department, announced that the PLA would reform its rank system. Speculation about such a move began soon after the initial announcement of the broader reforms in September 2015 (gwy.yjbys, one, two and three, September 2, 2015, Bowen Press, November 24, 2016; MOD, December 19, 2016; 81.cn, December 19, 2016). In November 2016, Bowen Press, citing PLA sources, reported that, effective on August 1, 2017, the 90th anniversary of the founding of the Red Army, the PLA would reform its basic unit structure. This will mainly affect the Army by completing the conversion of all remaining divisions to brigades with subordinate battalions and abolishing (取消 / 撤消) all regiments. The Bowen report also stated that the senior colonel (大校) rank would be replaced with a new one-star brigadier general (调整), and all other general ranks would receive an additional star. 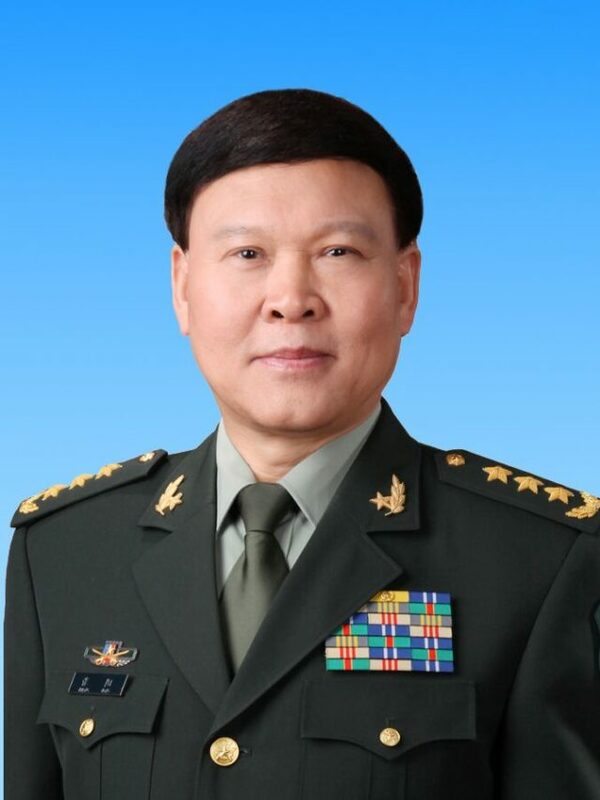 In mid-December, the first official confirmation of such plans was reported when General Zhang Yang (张阳), a member of the Central Military Commission (CMC) and Director of the CMC Political Work Department, told members of the Standing Committee of the National People’s Congress (NPC) that “China will build a rank-centered military officer system (军衔主导的军官等级制度) that is fit for the construction of a modern armed force and, furthermore, that military rank will reflect officers’ capabilities, identities and status” (MOD, December 19, 2016). He added that ranks would determine career development, and that the appointment system (which the CMC Political Work Department is responsible for) would be rebuilt to promote “excellent” officers and professional training. What will the new rank system (军衔制度) look like? Will the PLA abolish or adjust its current grade system (职务等级制度)? When will the revised system begin? Ranks have only been consistently used in the PLA’s for less than 30 years. As shown in Table 1, from August 1927 to 1937, the Red Army did not have a rank system for its officers (cadre). Although portions of the Red Army (Fourth and Eighth Route Armies) had a rank system from 1937 to 1946, it was based on the Nationalist Party (KMT) system and was not consistent throughout the force. No formal rank system was used from 1946 to 1948, when the PLA was created, nor did it ever have a rank system for its enlisted force. The PLA established its first 21-grade system in 1952, which was revised five times, and its first formal rank system in 1955, which was then abolished in to 1965 and not replaced until 1988. Together, the grade and rank systems have consisted of five basic components: grade categories (职务), grades (级别), rank categories (等级), ranks (军衔), and billets (岗位). These terms do not always translate directly into English, and are sometimes mixed together, but their meaning is usually clear from the context. This dual system, of ranks and grades and grades in particular, tends to be taken as a distinguishing feature of the PLA. In fact, the grades are an explicit indicator of an officer’s role in the chain of command, one that in rank-based systems is indicated by billet. Under the current system, every PLA organization and officer is assigned a grade from platoon level to CMC to designate their position in the military hierarchy (China Brief, February 4 and 23, 2016). As shown in Table 2, under the current system, each grade from military region leader down has two assigned ranks, while some ranks, such as major general, can be assigned to up to four grades. On average, officers up to the rank of senior colonel are promoted in grade every three years, while they are promoted in rank approximately every four years. Rarely do personnel receive a rank and grade promotion at the same time. All promotions up to the division level are local promotions that are approved at the next higher level. Promotions at the corps and above level are overseen by the CMC-level departments. Promotions to the senior levels are based on a combination of billets, grades, and ranks (China Brief, July 22 and August 5, 2010). Although all officers wear rank insignia on their service and combat uniforms, officers ribbons identifying their grade appeared on their service dress in 2007. It is also important to note that the PLA has only five officer career tracks—military (军事), political (政治), logistics (后勤), equipment (装备), and specialized technical (专业技术); however, this system may also be revised. Rather than being identified by a billet-affiliated grade for the first four career tracks, such as a regiment leader-grade (正团职) officer, as shown in Table 2, specialized technical officers are identified by one of 14 technical levels, such as grade 8 (8级) for a regiment leader-grade equivalent officer. However, since 2007, all officers and civilian cadre (who have their own grade system) wear the same ribbons (1-8 rows with 1 or 2 stars) on their service dress. For example, Figure 1 shows the ribbons for a regiment leader-grade officer, grade-8 specialized technical officer, and an office deputy leader-grade (副处级) civilian cadre (e.g., three rows and two stars). Civilian cadre (文职干部) are not assigned military ranks, but they do wear special rank insignia and are assigned one of up to 14 levels (级) according to whether they are non-specialized technical or specialized technical personnel. Figure 2 shows the rank insignia for a major general (star) on the left and a senior-level civilian cadre (chrysanthemum) on the right. There is speculation that the PLA will either abolish or adjust the grade system and move primarily to a rank system. It is this author’s opinion that the grade system may be adjusted slightly, but that it will remain the foundation for the PLA’s organizational and officer career path structure. This is due to its role as the basic framework for command and control (C2), promotion, retirement and protocol within the PLA. For example, the PLA has apparently already replaced the Military Region Leader and Deputy Leader grades with Theater Command Leader (正战区级) and Deputy Leader (副战区级) grade, respectively, to accommodate organizational name changes (81.cn, October 23, 2016; 70tt.com; 360doc, October 6, 2016; 81.cn, September 26, 2016). All military billets are assigned a grade (based on organizational level) and personnel move up their career ladder based on the grade system, not the rank system. Command and control (C2) and coordination among PLA organizations are defined by the grade, not rank structure. Organizationally, units can only command units of lower grade levels. For example, a corps leader grade unit is authorized to command divisions, but not vice versa. Mandatory retirement is based on each grade, such as 55 for corps leader-grade officers, not time-in-service or time-in-rank. Even basic military protocol follows grade, not rank and by regulation, personnel must call each other by their surname and their position, such as Deputy Director Wang or Commander Li (81.cn, June 7, 2010). Given the problems arising from abolishing the grade system, the PLA will most likely maintain a grade system as the foundation for hierarchical organization of the officer corps. Beyond the three adjustments proposed in the Bowen report—abolishing the senior colonel rank, adding a one-star brigadier general rank, and adjusting the current three-star general rank to become a four-star general rank—no specific information concerning to the PLA rank system changes is available. However, one of the most likely changes will be to abolish the primary and secondary rank system for each grade, which will mean that some ranks will cover more than one grade. It unclear, however, how officers in ranks that would be abolished, such as senior colonels will be promoted to brigadier generals or demoted to colonel. Given the December 19 announcement, there is little doubt that the PLA will adjust its rank system. Similar to the significant system changes that occurred in 1988, there are two driving forces for change, both of which are based on visual interests. First, as part of the PLA’s growing military foreign relations program, senior PLA officers wearing three stars are not necessarily seen as co-equals when they interact with their foreign counterparts who are wearing four stars. Placing greater emphasis on officer rank contributes to the PLA’s goal to be seen as an integral part of the global military community. Second, when officers engage each other during meetings where they do not know each other, they can immediately see where they fit into the organizational structure and can easily address each other by their rank. Which PLA officers will receive a fourth star? Will the CMC vice chairmen and members have four stars? Will the four service political commissars have four stars? Will the five Theater Command commanders and political commissars have four stars or three stars? Which PLA organizations will have one-, two-, and three-star commanders/directors and political commissars? Will there be a limit to the number of flag officers for each rank? Rather than having two ranks per grade and some grades applied to up to four ranks, will one rank cover more than one grade? Will all promotions continue to be local promotions or will there be a central promotion board for all officers and enlisted personnel? Will the mandatory retirement age be based on their rank and/or time-in-service rather than on their grade? Historically, guidance involving the PLA’s officer corps rank and grade systems have been incorporated into various laws and regulations, including revised iterations of the Regulations on the Military Ranks of Officers of the PLA (中国人民解放军军官军衔条例), Law of the PRC on Officers in Active Service (中华人民共和国现役军官法), and PLA Internal Affairs Regulations (中国人民解放军内务条令). The NPC is responsible for approving them before they are implemented. On December 25, 2016, the Third Plenary of the 25th Session of the Standing Committee of the 12th NPC in Beijing adopted the decision on the temporary adjustment (暂时调整) to the application of relevant provisions of the Active Service Law and Military Ranks Regulations regarding the posts, ranks, appointment and removal, education and training, benefits and support, as well as demobilization and resettlement. (MOD, December 30, 2016; MOD, December 30). The next step is for the CMC to formulate an implementation plan and relevant temporary policies and regulations, and carry out necessary trial programs to proceed orderly with various reform measures according to law. The temporary adjustment will be effective on January 1, 2017 (NPC, December 25). Current speculation is that the new rank-centered system will be implemented on August 1, 2017. If this is correct, it will also be just before the 19th Party Congress, which will include a major change in the PLA’s leadership. There is little doubt that significant changes affecting the PLA’s rank and grade systems will soon take place. The big question is how these changes will affect the way the PLA trains and fights. While interactions among senior officers with the same rank in the international military affairs arena will be immediately visible and easily monitored, the systemic changes will significantly affect officer promotions, career progressions, and organizational interactions, but they may not be discernable to the public for some time. It is this author’s opinion that the PLA will not transition strictly to a rank system, although changes to the rank system will certainly occur. The PLA will need to maintain some type of grade system that forms the foundation of the PLA from a C2 and coordination perspective and provides a promotion ladder. It is also the author’s opinion that not all divisions and regiments will be abolished and/or integrated into brigades; however, more units, especially in the Army, will make this transition. Previous revisions to the rank system have been haphazard and only implemented slowly. As witnessed in 1988, the PLA has enacted major transitions to its grade and rank system; however, it took the PLA several years to completely incorporate all of the changes and clearly did not meet today’s requirements. The author would like to thank the many reviewers who were kind to offer suggestions and critiques on an earlier draft. Zhu Jianxin, Guo Fei, Ji Haitao, Officer System: Comparison and Reforms (军官制度:比较与改革), Beijing: Academy of Military Science Press, December 2006. Liu Yan, 100 Year History of China’s Ranks (中国军衔百年史略), Beijing: Academy of Military Science Press, May 2007. Liu Yan, Liang Xuemen, and Li Mei, Ranks History (军衔史话), Beijing: Liberation Army Press, September 2009. Military Rank (军衔), in Military Organization (军制) Volume 24, p. 413–417 in China Military Encyclopedia (Second Edition) (中国军事百科全书第二版), Beijing: Encyclopedia of China Publishing House, July 2007. System of Cadre Grades (干部等级制度) in Military Cadre Work (军队干部工作), Volume 39, p. 48-50, and System of Military Ranks (军官军衔制度) in Military Cadre Work (军队干部工作), Volume 39, p. 5–53, in China Military Encyclopedia (Second Edition) (中国军事百科全书第二版), Beijing: Encyclopedia of China Publishing House, December 2006. Kenneth W. Allen, “Introduction to the PLA’s Administrative and Operational Structure” in James Mulvenon and Andrew Yang, eds., The People’s Liberation Army As Organization, Santa Monica, CA: RAND Corporation, 2002. From 1988 to 1994, every grade was assigned three different ranks. In 1949, the PLA created 19 bingtuan headquarters, which is translated as “army” or “formation,” that consisted of subordinate corps. In 1950, all 19 bingtuan headquarters were abolished; however, the term remained in effect as a generic concept for organizations at the tactical level (corps, division, brigade, and regiment) and, from 1977 to 1988, was the generic term for a two-level grade between the corps and military region levels. In 1988, the primary bingtuan-level organizations were the three PLAN fleets and the seven PLAF Military Region Air Force Headquarters, each of which was upgraded to Military Region deputy leader grade. China Military Encyclopedia, Beijing: Academy of Military Science, 1997, Vol 2, p. 13. PLA Military Terminology, September 1997, p. 156. PLA Military History (中国人民解放军军史), Volume II, China Military Encyclopedia (Second Edition), Beijing: Academy of Military Science, December 2007, p. 396–411. Military Rank (军衔), in Military Organization (军制) Volume 24, p. 420–428 in China Military Encyclopedia (Second Edition) (中国军事百科全书第二版), Beijing: Encyclopedia of China Publishing House, July 2007.